Today, more and more people are rushing to join the Blogging industry and reap the financial rewards it promises. However, the question most of them face is whether they should purchase only a single website domain or multiple ones. Now for those of us who are experienced this may seem to be an inane question. Today we will discuss Top Four Best Reasons Why One Website Domain is better than Two Website Domain for Beginner Bloggers and why beginner bloggers should not have more than one web domain. However, when a new entrant comes into the blogging field, their aim is to establish their presence in a short period and maximize their earnings. Hence, more often than not, we come across new bloggers who have purchased a number of different Web Domains. This in our opinion is a wrong practice and one, which is riddled with a number of problems. The basic reason why the blogging industry is so lucrative is because it helps people establish themselves and their viewpoints. This is possible only by marketing their blogs through normal SEO practices. Now imagine if any blogger has multiple domains. He or she may popularize all the domains; however, they will end up dividing their visitor count rather than consolidating it. 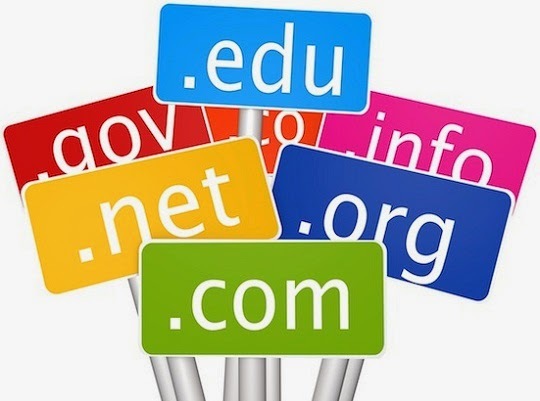 Ultimately, all the domains will suffer because they will not be as popular as a single website domain. When a blogger purchases a domain, they have to specify the number of years they want to purchase it for. Most providers charge very little for the first year and hence bloggers may end up paying a low as 10 US dollars per blog for the first year. However, when it comes to renewal, the charges are much higher. So if a blogger has purchased two or three domains, their cost may go up from 30 US dollars for the first year to over 100 US dollars for the second year. This is simply not feasible irrespective of the visitor count. The only way a blogger can market their website domain is by SEO practices like link building, guest posts and social media linking. Most SEO experts suggest that any domain should have over a hundred links for it to be ranked well in Google and other web search engines. At the same time, the site owner has to keep working on SEO on a daily basis to increase their search engine rankings. So the formula is simple – a higher number of domains equals higher workload when it comes to marketing. Again, bloggers will end up dividing their efforts rather than consolidating them. Keywords and content are the most forgotten parameters when it comes to blogging. A blogger has to choose the proper keywords which their website will be associated with. In addition, they would need to keep posting new content to increase the visitor count. By having more than one website domain, they run the huge risk of content duplicity and earning a penalty from Google for it. So, it makes more sense to purchase one single domain and use that as a base for blogging and vlogging. Beginner Bloggers can get new generic top-level domains (gTLD) for their blogs, vlogs and websites from GoDaddy.com, Dynadot.com and webdomain UnoEuro.